As Hyundai's least expensive offering, the stylish Accent sedan and hatchback for 2016 offer value, economy and reliability at a sub-$16,000 price. No longer the flimsy and Spartan econobox of the past, the Accent looks and feels more substantial than the average subcompact and it comes standard with an amazing 10-year/100,000-mile powertrain warranty. A real review on Hyundai Accent. I have never had any kind of problems with my 2016 Hyundai Accent. I have the basic sedan model. It is dark grey. I was offered tinted windows so it looks really sleek. If you have a family though it probably is not a good car to get. It is a smaller car and does not have a lot of space for more than four people in your family. It has great gas mileage. It only cost me $120 in gas to get from Austin Texas to Washington dc. It has never broken down on me and I have had it for two years now. I have traveled all over the country in this car over that period of time and there is no wear and tear and it is still driving strong. I would recommend this vehicle to anyone trying to buy a small, cute, inexpensive car. It does not cost a lot to fix any problems on the car. I have never had to fix any issues or replace anything but I did my research before purchasing the car and the repairs are minimal financially. Accents are amazing, especially with the eco option. My 2016 Hyundai is extremely comfortable and drives really well. My dog is a sixty pound puppy and makes a huge mess in it but nothing a good shampoo will not get out, and surprisingly the fabric stays looking brand new. I absolutely love it. The only problem I have with the car is how light it is during the rain. We do have to slow down to about twenty on the interstate in a light rain or it feels like the car is just going to get carried away. Also, if you want the gas mileage that is advertised, you will have to keep it on eco drive. Not too big of a deal unless you want to get on the interstate on a daily basis. All in all, it was worth buying the car for the money. 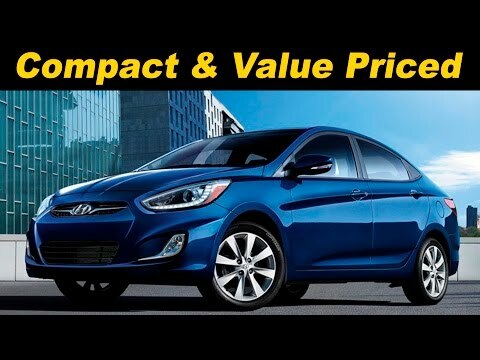 The Hyundai Accent is a small car that is very good on gas and mileage. I love the 2016 Accent. It is small and very good on gas and the mileage is awesome. It is performance is excellent. It drives very smooth. It is reliability is incredible. It is very reliable. The comfort is wonderful for a family of 4. The features are great. It does not have a lot features just basic features. It has many sensor lights. The radio has good features. I have not have no major problems. The only problems I have had is with sensor lights coming on letting me know that my gas cap was not closed tight or that my tires needed air. But other than that no major problems.